Our First Look at G-Rods International! 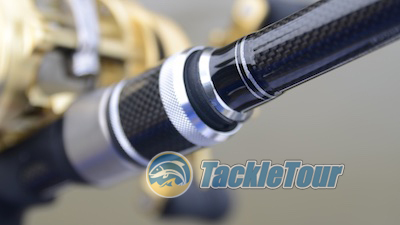 Introduction: Each year during ICAST, we see so many new and not so new products, in order for us to remember or be excited about something, the product has to be truly unique. If we're lucky, one or two items will stand out for us - again, if we're lucky. 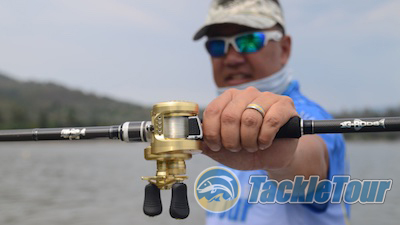 After ICAST 2015, one company truly did capture our imagination. G-Rods International is a promising young company looking to make some noise in the rod market by bringing their unique graphene blended graphite blanks to market. Introducing G-Rod International's 7'3" Cranking stick. 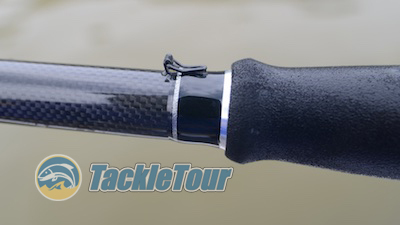 This new wonder material is making its rounds in the tech world as a material binder, an electrical conductor, and more and G-Rods has found a way to blend it with graphite in the blank of a rod to increase strength and sensitivity while not increasing weight. Over the Summer and after ICAST 2015, we were testing their surf rods in what proved to be an historic striper run along the San Francisco Bay coast line. Unfortunately, we're not very good surf fishermen and we drew blanks. The rods performed wonderfully during the cast, but we couldn't get anything on the other end of the line to test the rod's power. Matched with a Shimano Conquest 101. 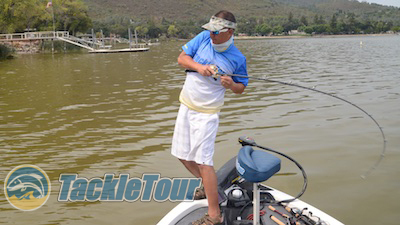 Soon after the run was done, we switched gears back to freshwater and took a bunch of G-Rod's bass rods up to Clear Lake and the California Delta to see how they performed. Here now is our first official review of a stick from G-Rods International, their BA73MH-1C Cranking stick! Quality/Construction: G-Rod International's BA73MH-1C is a one piece, seven foot, three inch (7'3") medium heavy powered stick with Fuji K-series titanium framed, SiC guides. The rod's blank is sanded, but unfinished and it features a split rear grip made of EVA foam. The rod's blank is straight and the guides are perfectly aligned. The quality control is quite evident in our sample. Ready for some action on Clear Lake, CA. 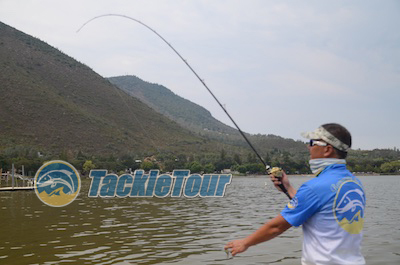 Performance: I matched the BA73MH-1C with Shimano's most recent Conquest 101 spooled with nylon monofilament and fished this stick both on Clear Lake and the California Delta. The BA73MH-1C has a really nice power curve. Casting: The BA73MH-1C loads very well with baits through its rated range and thanks to its 7'3" length, allows you to make fairly long casts. 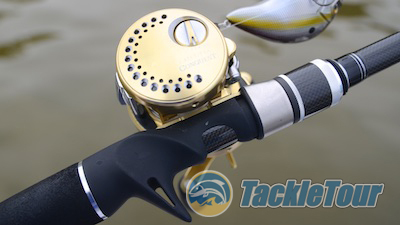 Of course, when matched with a reel like the Conquest 101, you almost don't want a fish to hit and interrupt your very next cast - almost. A look at the careful detailing at the forenut. Thanks to the fact this stick is graphite, you can also make accurate pitches with this stick too. 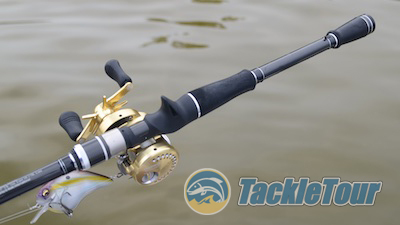 It may be a cranking rod, but it's a versatile cranking stick at that. The carefully executed thread and epoxy work around the sculpted guides. Sensitivity: What I really enjoyed about this stick, and honestly, graphite cranking sticks in general, is the fact you can really feel your lure at the end of the line as it bounces off rocks or digs in the soft bottom mud. Sensitivity on a cranking stick is irrelevant until such time as you actually have a sensitive stick with which to crank. Then you never want to give it up! Power: The BA73MH-1C has a really nice power curve too. Rated as a moderate taper, thanks to its graphite base, there's just a lot of power behind that moderate bend. 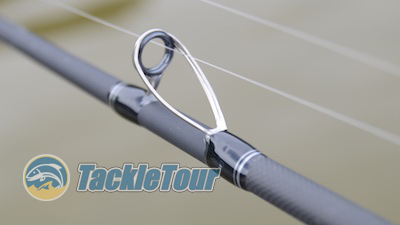 This stick delivers sure hook sets with a soft enough feel to not pull the bait away from the fish prematurely. No, it is not as buttery as a glass cranking stick, but graphite sticks never are. 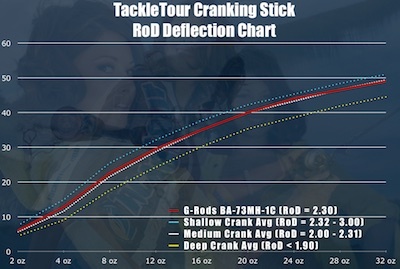 Fig 1 : The chart above illustrates the deflection characteristics of our G-Rods BA73MH-1C against the averages from our 2009 Crankbait Rod Wars. Taking a look at how the BA73MH-1C fared in our lab and against our historical data, its deflection curve aligns nicely with that of our all purpose cranking stick average - right down the middle of shallow cranking and deep cranking meaning it can handle all ranges pretty well. Out on the water, although I fished square bills most of the time with this stick, I also through a Strike King 10XD and 1/8oz size Luhr Jensen SpeedTrap. This stick handled both just fine. Placement of the hook keeper could use some reconsideration.